The company reported total revenue from operations at Rs9,509cr, an increase of 11.4% over the same period last year. Shares of Bosch Ltd slipped ~4% despite reporting a 19.3% increase in standalone PAT for the third quarter ended December 31, 2018. The company standalone PAT rose to Rs335cr in Q3FY19 vs. Rs281cr in Q3FY18. The company reported total revenue from operations at Rs9,509cr, an increase of 11.4% over the same period last year. "The result of this quarter has to be viewed in the context of particularly weak market conditions in the overall automotive sector. 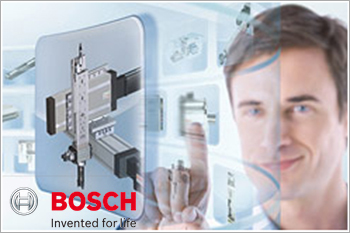 Bosch Ltd has always been committed to delivering best-in-class automotive solutions. We are helping our customers to meet the challenge of manufacturing only vehicles compliant with BS-VI emission standards from April 2020 as per the ruling of the Supreme Court," Bosch MD Soumitra Bhattacharya has said. "Bosch has recently also showcased its business beyond mobility offerings that are fast embracing digital platforms and loT Services. Having said that, the focus on strategic topics and operational efficiencies will continue," Bhattacharya added. Bosch Ltd share price is currently at Rs18,050.05, down Rs559.95, or 3.01%, from its previous close of Rs18,610 on the BSE. The scrip opened at Rs18,700 and has touched a high and low of Rs18,753 and Rs17,600, respectively.